Home Heating Tips to Keep You Warm this Winter | West Coast Solar, Inc.
Optimize your property's solar potential. We'll deliver the best solar solution for you! 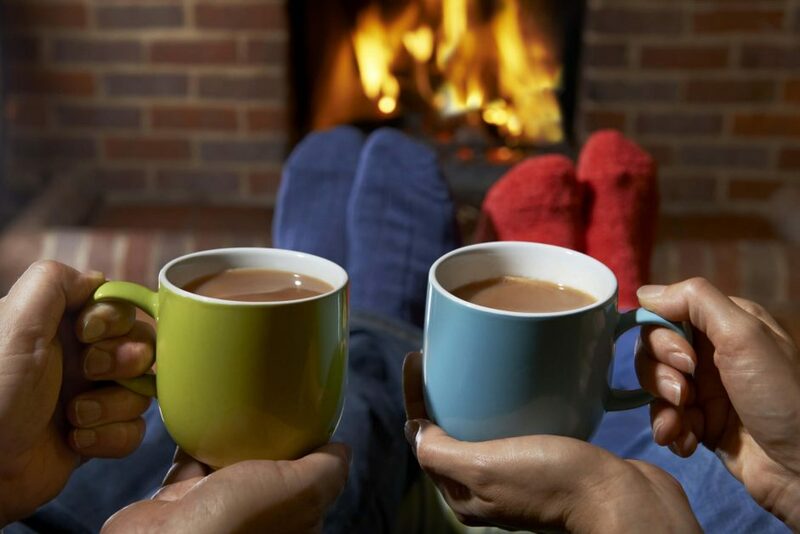 With cooler weather and shorter days ahead, it’s time to start thinking about the best ways to keep your home warm without blasting the heater all winter. Space heating is the largest energy expense in the average U.S. home. While you could just kick up the thermostat a notch, those few extra degrees can add up big time. When it comes to selecting a heating system for your home, you have a few options. Active solar heating relies on the sun to heat a liquid or air in a solar collector to provide your home with immediate heat or store it for later use. The fastest growing trend today is to use solar panels to generate power to operate electric heating options like heat pumps. With solar energy as fuel, active solar heating can reduce your energy bills. Furnaces fueled by natural gas or propane heat air and use a blower motor and air ducts to distribute warm air throughout your house. The efficiency varies depending on the system’s age, and blower fans can be loud. Wood or pellet stoves provide supplemental heat to a specific room. These wood-burning stoves are a good heating option if you live in an area where wood is readily available, but many air districts throughout California have set restrictions on wood burning. Once you’ve decided on a heating system for your home, you’ll want to keep the heat in by implementing a few heating hacks. Larger homes are more expensive to heat, so close off any guest bedrooms or extra storage space to avoid heating unused rooms. Invest in a programmable thermostat, and you can save up to 10 percent per year on energy costs. If you live in an older home, consider adding insulation to your walls and attic. Up to 25 percent of your home’s heat is lost through small cracks and holes, and the initial investment will pay for itself in reduced energy bills. If cold air often seeps underneath your doors, use an insulated draftstopper to fill in the gap between the door and the floor. Doors and windows can allow air leaks even when they are closed, so seal cracks around your doors with weather stripping and apply caulk as needed to seal off air leaks around windows. On sunny days, open your curtains to let the warmth in from natural sunlight and close your curtains at sunset to keep heat from escaping back out the windows. Plush area rugs add warmth to tile or hardwood floors, and rugs and carpets also prevent heat from escaping through the floorboards. During the winter, don’t forget to set your ceiling fan to spin clockwise and blow the rising hot air down, making the room feel warmer. With these simple and easy heating hacks, you’ll stay cozy all season long. © 2017 West Coast Solar - Do not copy mockup. All rights reserved.